Sorry... the 2016 BMW Z4 is no longer being sold as new. 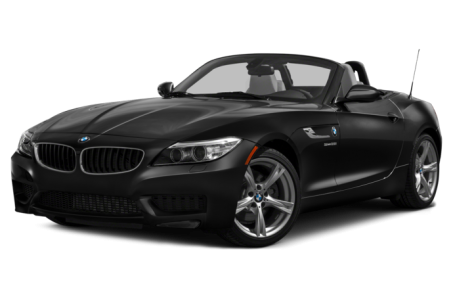 Instead, take the first step to a great deal on 2019 BMW Z4 with a free price quote! Carrying over without real changes is the 2016 BMW Z4, the only two-seat sports car offered by the German luxury automaker. For 2016, the only addition is sport seats which now come standard on base sDrive 28i models. The Z4 has traditional front-engine, rear-drive roadster proportions, with a long hood and a short rear decklid that makes the Z4 appear stretched out. 17-inch alloy wheels and rain-sensing wipers come standard. Larger 18- and 19-inch wheels are available. The sDrive 35is gets its own styling, with unique front and rear bumpers and a sportier overall aesthetic. The three models are all rear-wheel drive and come with their own engines. The sDrive 28i features a 240-hp, turbocharged 2.0-liter four-cylinder that is mated to a six-speed manual or eight-speed automatic transmission. The sDrive 35i gets a 300-hp, turbocharged 3.0-liter inline-six-cylinder, while the sdDrive 35is features a version of that engine tuned up to 335-hp. Both 35 models come with a seven-speed dual-clutch automatic. The M Sport Package is optional, which adds an upgraded adaptive suspension along with other exterior and interior upgrades. Inside, the two-seat Z4 offers standard leatheretter upholstery, dual-zone automatic climate control, Bluetooth connectivity, USB port, HD radio, power seats, and a universal garage door opener. Also available are navigation, real leather upholstery, heated seats and steering wheel, and BMW Remote Services. Standard safety features include front, side-impact, and knee airbags, antilock brakes, electronic stability control, dynamic cruise control, and a tire pressure monitor. Also available are front and rear parking sensors.